The Kangaroos have booked their place in the semi-final of the 2017 Rugby League World Cup. This is after they thrashed Samoa 46-0 in the first quarter final last night. Valentine Holmes scored a record five tries while other tries came from Michael Morgan and Billy Slater . 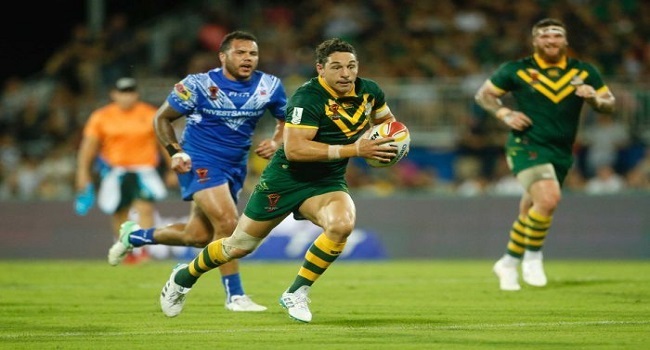 Samoa were kept scoreless, the Kangaroos’ second shut-out in a row. Australia will play the winner of the New Zealand versus Fiji quarter-final tonight, and move to Brisbane next Friday. Meanwhile, the Bati plays New Zealand at 7.30pm at Westpac Stadium in Wellington tonight.